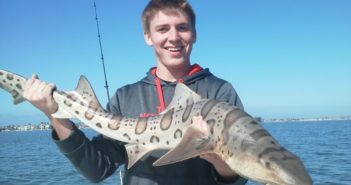 We are getting very high numbers of leopard sharks in the bay right now. It is almost as good as last month. I say that only because I have been all over; lakes one day, mouth of the bay the next, then somewhere south of the bridge. So, I haven’t been asked to target them quite like before. We are getting some big ones though. With the amazing weather we are having and the ocean temperature crawling back up, the back bay lit up again for our latest trip. 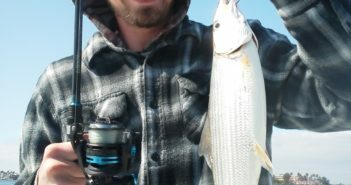 The water in South Bay is at 66-67 degrees and the bonefish are coming out to play more constantly each week. 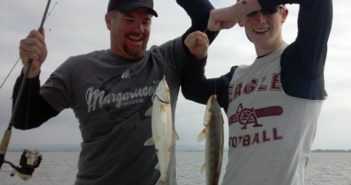 I fished San Diego Bay today with Bryan and his family. 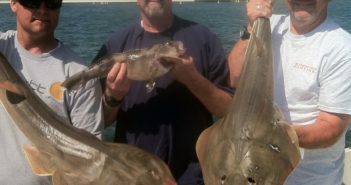 The fish were receptive, and we caught big bat rays, guitarfish, smoothhound, spotted bay bass, sand bass, and bonefish. It was a great trip. 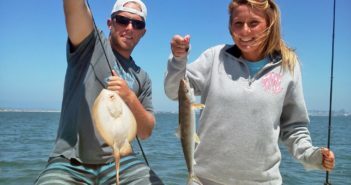 We started out for bass, caught a lot of them, and then decided to go target rays. 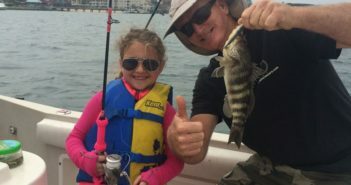 I fished the last 4 out of 5 days in San Diego Bay. The water is warming up with surface temperatures around 64-65 in the mid bay and 67-68 in the back bay. Bonefish have lit up back there, releasing more than 10 many days – along with yellowfin croaker in the mix. 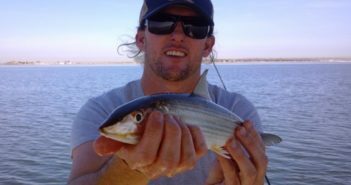 We also targeted some spotted bay bass with good success on outgoing tides. 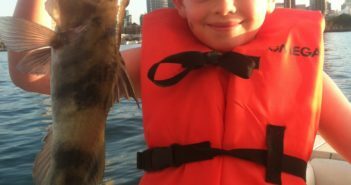 Yesterday, a 17 year old client celebrating his birthday landed a 31″ halibut. The bite did seem to slow down yesterday with the incoming low pressure system. 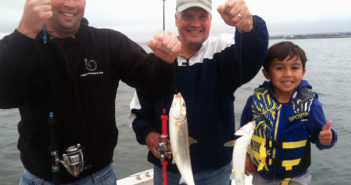 I am sure the bay bite will be back to full swing once the weather clears out. The bonefish are off and running full steam. Shrimp, grubs, and Crazy Charlies are the ticket. Lots of yellowfin croaker are being caught intertwined with the bonefish. 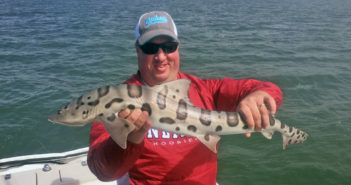 With water temps reaching the high sixties, we are still getting lots of leopard sharks, and various ray type critters.